Indication: insanity, epilepsy and as a memory tonic. 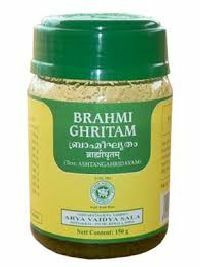 Dose: ½ to 1 teaspoonful (6 to 12 gm) in the morning and evening or as directed by the physician. 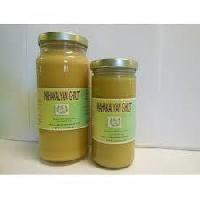 Packing: 100gm. 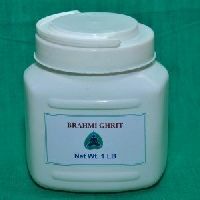 Brahmi ghrita is an herbal brain and nervine tonic that helps in rejuvenation of the body, improving the memory and in overcoming the negative effects of stress. 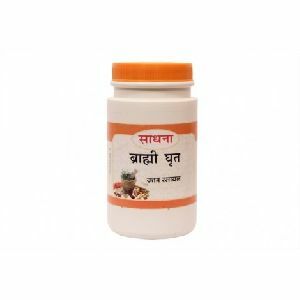 It is useful in treating irritability, lack of concentration, epilepsy, hysteria, leprosy and as a memory booster. 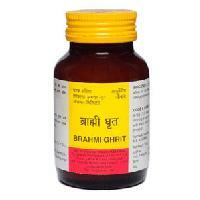 Shree Baidyanath Ayurved Bhawan Private..